Jeremiah Manitopiyas, a.k.a. 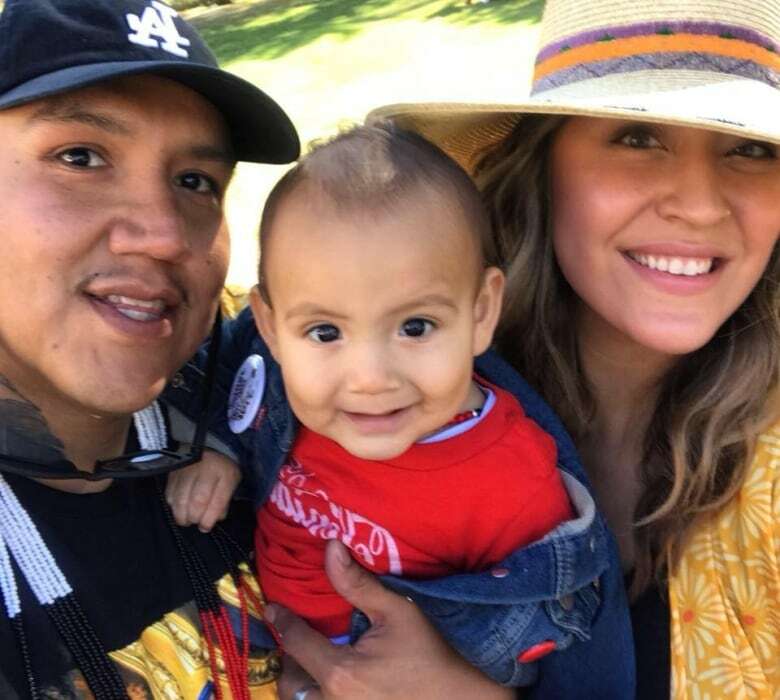 Drezus, and his partner are an Indigenous couple trying to break inter-generational cycles of alcoholism and absentee parents for the sake of themselves and their baby son. 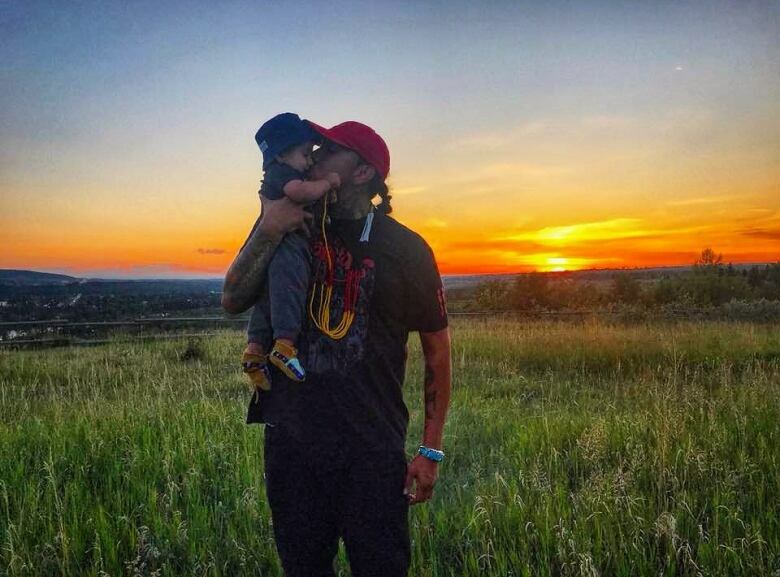 Rapper Jeremiah Manitopyes says he grew up with hip hop as a pseudo father figure. His biological father was out of the picture, and he was raised by a single mother. Because of that, his perception of what an Indigenous man is and what healthy relationships look like was skewed. "There's certain parts of hip hop that are completely misogynistic ... I wasn't really aware of that, you know? Because I see all the other men around me doing the same thing, so I thought it was normal," said Manitopyes, a.k.a. Drezus, who grew up in Saskatchewan and now lives in Calgary. "Dudes with all kinds of women and cars and guns and … it made it all such a cool package to look up to, I thought ..."
After his rap career took off in his early twenties, his lyrics reflected this lifestyle. "I was being disrespectful to not only women, but to myself and to my community, to people around me and my family, my kids, you know? And it was the toughest thing to face," he said. "What I come to realize is that a lot of the men themselves were either abandoned or felt abandoned in their lifetime at a certain point to where they thought that was normal." Indigenous men then abandoning the women and children in their lives, not communicating properly and abusing alcohol and drugs creates a dysfunctional cycle for families, he said. It's something Manitopyes addressed recently on Facebook, calling on Indigenous men to "step up." "There's just tons of fathers out there who are who are probably a lot more deserving of this story, but we just never hear about them. And I want to acknowledge those guys today and also the mothers, too." 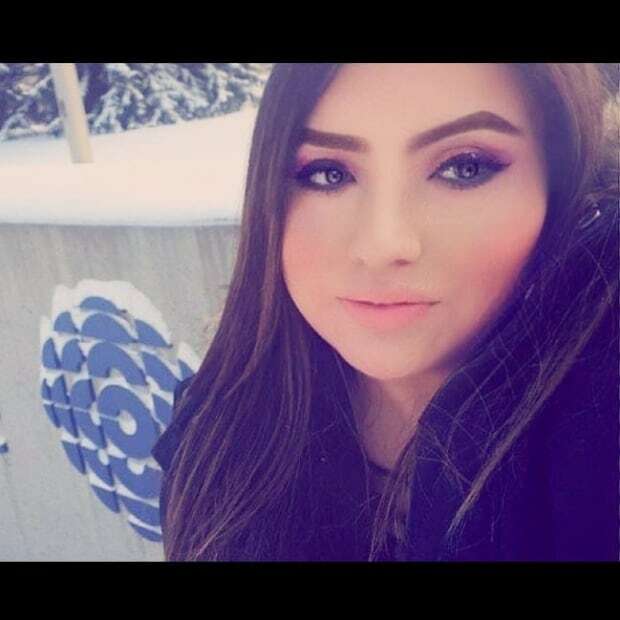 Manitopyes is now 21 months sober. 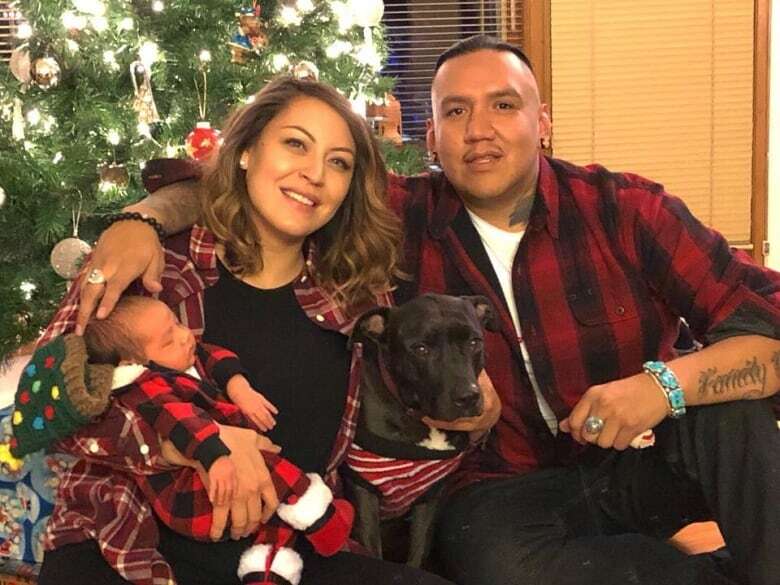 He said he owes a lot of the determination to stay sober to his partner, Kiela Bird, with whom he shares a son named Ryder. "I'm able to be present now. My mind's not thinking about party time on Friday or, damn, I spent too much money or I'm too hung over to enjoy this time with my family, you know? I deal with the occasional urge or craving or something but the love for my family overpowers that," said Manitopyes, who has two other sons. 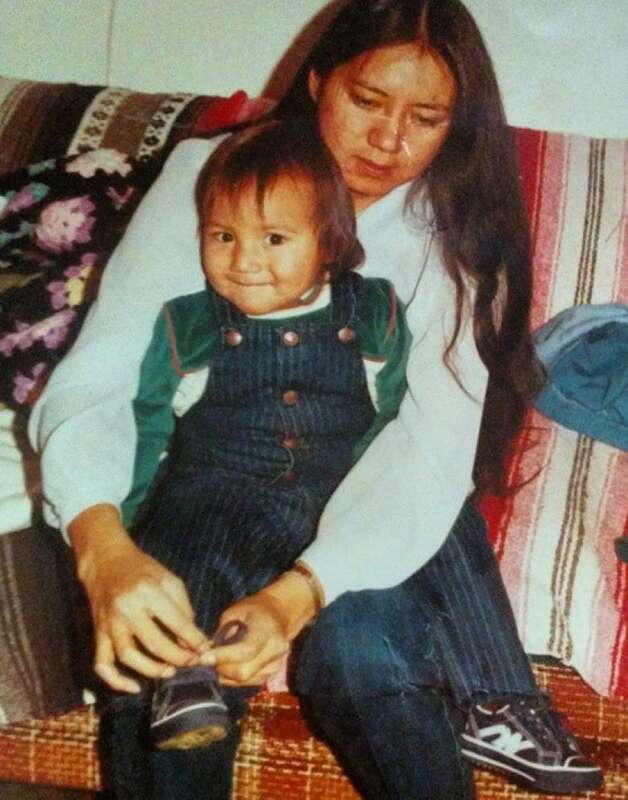 He said throughout the years and after being incarcerated in Manitoba, he wasn't there for his oldest sons as much as he wanted to be. "I felt like a failure as a father, you know? I didn't have the tools or even the spirit to figure out how to right that wrong because I was literally in the system's hands and everything went inward from that point." His and Bird's relationship started out much like a hip hop music video. They met in Los Angeles when he was collaborating with musical artist Taboo from the Black Eyed Peas, while Bird was helping a fashion designer. Both Manitopyes and Bird knew they were in love. But they had to face the fact they both struggled with alcoholism — and in order to make it work, they had to take that factor out of their relationship. "A lot of times we just mimic the solving behaviours that we see. It's like, 'OK, I don't have the tools to deal with this, so I'm just dealing with this the only way that I know how, the way that I've seen ... and a lot of that is resorting to drugs and alcohol, unfortunately," said Bird, whose parents dealt with substance abuse. "And some of us, that's all we see. That's all we know." For Manitopyes, creating a healthy relationship meant reconstructing how he thought an Indigenous man should behave. "I'm just in awe of him all the time," said Bird. "He's true to himself. He's true to his word." Bird said having a son propelled them farther into their goal of sobriety and having a healthy relationship. 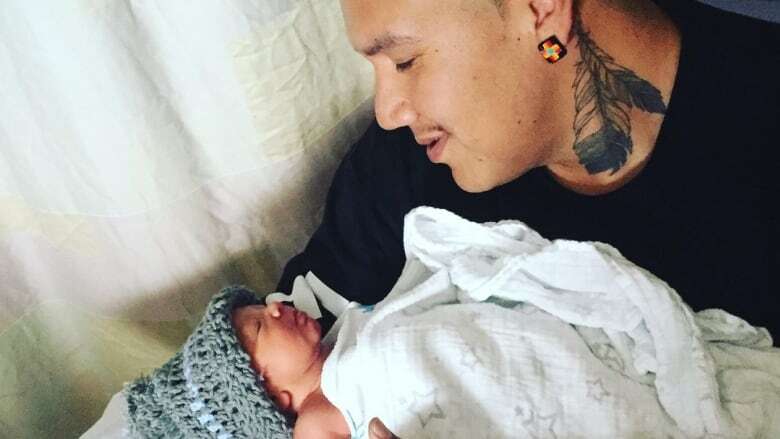 "We're not going to put our child to what we went through as far as not having the parents in the picture or fathers or whatever," said Manitopyes. 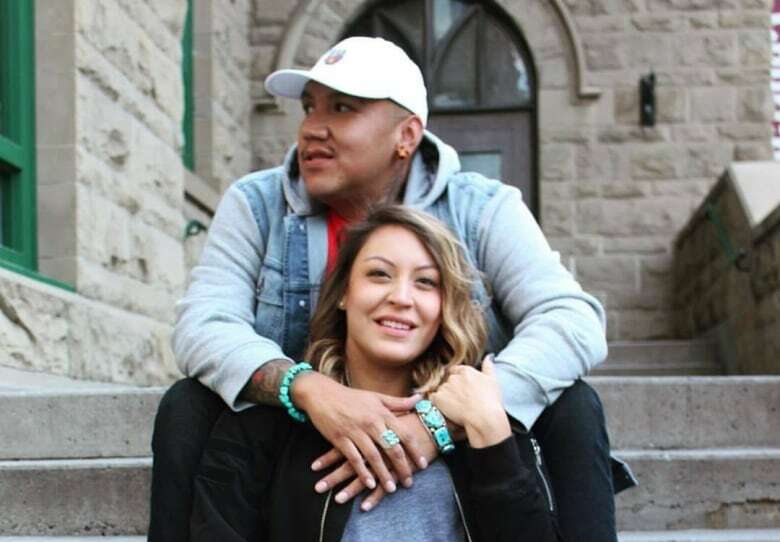 Manitopyes and Bird said they can only speak for themselves when it comes to the dynamics of Indigenous relationships and what they consider to be healthy. "I feel like we're at a point as Native people where we're healing so much and we're just now learning what a healthy relationship looks like," said Bird. The couple said their relationship is rooted in prayer and ceremony. They said they observe challenges within Indigenous communities that cause issues with couples, like lateral violence, gossip or even traditional tribal/clan differences. "I think true love overlooks all that. It's all about seeing each other's spirit and wanting to protect that," said Manitopyes. "That's where it starts for me. That's the beginning and the end to me, that's our spirit. Our spirit outlives our body. That's what I believe." Manitopyes said his sobriety took a front seat to his rap career, but he will be releasing his next album, Public Enemy, this spring.